No matter how well you have prepared, you might feel dazed or numb after going through a disaster. You may also feel sad, helpless, or anxious. In spite of the tragedy, you might just feel happy to be alive. It is not unusual to have bad memories or dreams. You may avoid places or people that remind you of the disaster. You might have trouble sleeping, eating, or paying attention. Many people have short tempers and get angry easily. These are all normal reactions to stress. If your emotional reactions are getting in the way of your relationships, work, or other important activities, talk to a counselor or your doctor. Treatments are available. 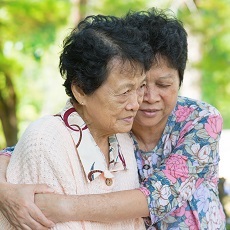 Article: Post-flood social support networks and morbidity in Jôsô City, Japan.